My name is Julia Campisano, and I am the current Vice President of Membership for the amazing Zeta Alpha chapter of Sigma Kappa at Indiana University Southeast. Sigma Kappa is a sorority founded on loyalty, friendship, service, and personal growth. And the women of the Zeta Alpha chapter strive to uphold those same values in our everyday lives. We also pride ourselves in being the first Panhellenic Sorority to call IUS home! Each sister in Sigma Kappa is a woman that is unique, approachable, and genuine. We all have goals and dreams that vary from one sister to the next, however; the one thing that we all have in common is our love for Sigma Kappa and the bond that we share as a sisterhood. Sigma Kappa has several different philanthropic goals, with Alzheimer’s research and Awareness being our top priority. Sigma Kappa’s from all over the country attend annual Alzheimer’s walks and donate to the cause. Our sisterhood has donated over one million dollars alone to help the fight to end Alzheimer’s Disease. 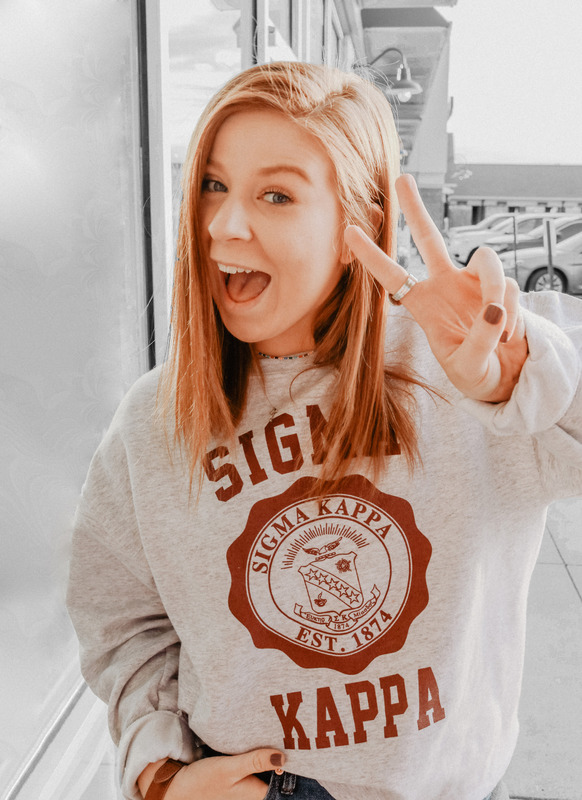 I pride myself in being a member of Sigma Kappa, as I am surrounded by a group of women that love me for who I am and support me, no matter how outlandish my goals become. If there is anything that I have learned in my short time as a Sigma Kappa, it’s that we all live ‘One Heart, One Way’.